Asiad Steels is one of the acknowledged suppliers and manufacturers of Incoloy 925 Fasteners, which combines the high strength of a precipitation-hardenable alloy with the excellent corrosion resistance of INCOLOY alloy 825. 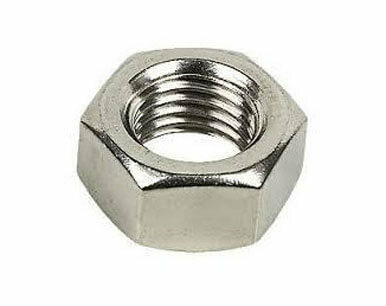 We also offer the same in different types such as Inconel 925 Nuts, Inconel 925 Bolts, Inconel 925 Washers, and Inconel 925 Stud Bolt. 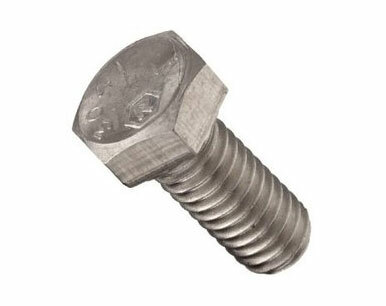 These fasteners are an age hardenable nickel-iron-chromium alloy designed to provide a combination of high strength and good corrosion resistance. 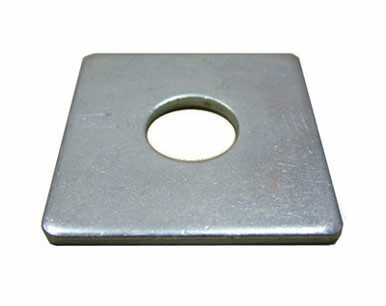 Used for surface and down-hole hardware in sour gas wells and for oil-production equipment. Standard product forms are round, flats, forging stock, pipe, tube, and wire. Due to its ability to resist sulfide stress cracking, it is often used in crude oil applications contain H2S. These Incoloy UNS N09925 fasteners are designed to have exceptionally high strength and creep-rupture properties at higher temperatures and pressures. The high nickel content found in incoloy fasteners give the material its intrinsic abilities that makes such an alloy so favorable for these extreme conditions. The alloys have excellent resistance to sea water similar to 90 percent Cu – 10 percent Ni. In order to control the quality of Incoloy 925 fasteners material, test as per the requirement of the clients: tensile tests, impact test, hardness test (Brinell, Vickers, Rockwell), magnetic particle examination, penetrants test (surface for fissures), ultrasonic examination. Inconel 925 derived from a precipitation hardened nickel/chromium alloy that also has smaller amounts of other ingredients such as aluminum and titanium. Buy Alloy 925 Fastenersat reasonable rates from us. We also offer the same in different sizes and shapes to our clients. We are Exporter of Incoloy 925 Fasteners in Worldwide Such as India, Iraq, Belarus, Colombia, Chile, Costa Rica, Poland, Yemen, Portugal, Philippines, Ecuador, Czech Republic, United Arab Emirates, Afghanistan, Estonia, Switzerland, Netherlands, Namibia, Thailand, Peru, Nepal, Denmark, Spain, Sri Lanka, Bahrain, Kazakhstan, Germany, Kuwait, Bulgaria, Norway, Azerbaijan, Finland, Angola, Belgium, Argentina, Sweden, Oman, Turkey, Libya, France, Mexico, Malaysia, Gambia, China, Iran, Mongolia, Chile, South Korea, United States, Macau, Canada, Nigeria, Nigeria, United Kingdom, Poland, Trinidad & Tobago,Tunisia, Puerto Rico, Hungary, Israel, Gabon, Brazil, Morocco, Bangladesh, Mexico, Italy, Slovakia, Bhutan, Romania, Ghana, Indonesia, Greece, Austria, Russia, Zimbabwe, Australia, Qatar, Jordan, Singapore, Lebanon, Croatia, Kenya, Ireland, Saudi Arabia, Venezuela, Hong Kong, India, Serbia, Iran, Tibet, South Africa, Bolivia, Taiwan, Pakistan, Lithuania, Vietnam, New Zealand, Egypt, Algeria, Japan, Ukraine. We are Suppliers of Incoloy Alloy 925 Fasteners in India Such as Mumbai, Ho Chi Minh City, Al Jubail, Manama, Sydney, Hanoi, Singapore, Calgary, Houston, Ulsan, Lagos, Kuwait City, Howrah, Kuala Lumpur, Petaling Jaya, Rio de Janeiro, New Delhi, Jakarta, Edmonton, Courbevoie, Ahvaz, Haryana, Colombo, Coimbatore, Bangkok, Chandigarh, Caracas, Mexico City, Vadodara, Ludhiana, Port-of-Spain, Montreal, Bhopal, Algiers, Seoul, Abu Dhabi, Toronto, Tehran, Bogota, Dammam, Visakhapatnam, Dubai, London, La Victoria, Pune, Bengaluru, Gimhae-si, Atyrau, Nagpur, Karachi, Faridabad, New York, Ernakulam, Gurgaon, Thiruvananthapuram, Geoje-si, Moscow, Los Angeles, Santiago, Jeddah, Istanbul, Brisbane, Milan, Granada, Al Khobar, Indore, Nashik, Jaipur, Busan, Sharjah, Mumbai, Ranchi, Melbourne, Navi Mumbai, Madrid, Ankara, Surat, Kolkata, Pimpri-Chinchwad, Rajkot, Hong Kong, Hyderabad, Perth, Kanpur, Baroda, Aberdeen, Lahore, Secunderabad, Dallas, Vung Tau, Doha, Chennai, Ahmedabad, Thane, Chiyoda, Noida, Muscat, Cairo, Riyadh, Jamshedpur.